Tour new Hepworth Tate Britain show Jump to media player One of Britain's best-known artists and sculptors of the 20th century, Barbara Hepworth, is the subject of a major new exhibition at Tate Britain in London. Hepworth Wakefield's first year Jump to media player The Hepworth Wakefield is about to celebrate its first anniversary and has had 500,000 visitors. One of Britain's best-known artists and sculptors of the 20th century, Barbara Hepworth, is the subject of a major new exhibition at Tate Britain in London. 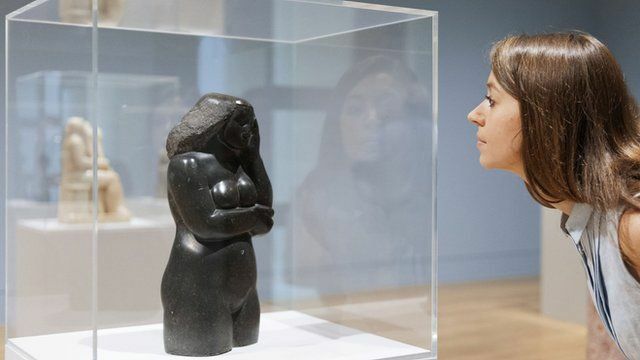 The exhibition promises a fresh perspective on her achievements and brings together more than 100 works, including her earliest carvings and major sculptures.